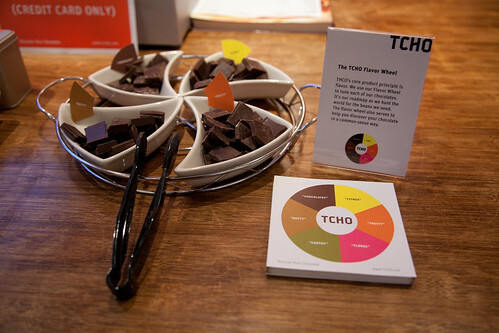 TCHO is a unique chocolate company located at Pier 17 in San Francisco that creates high quality dark chocolate. 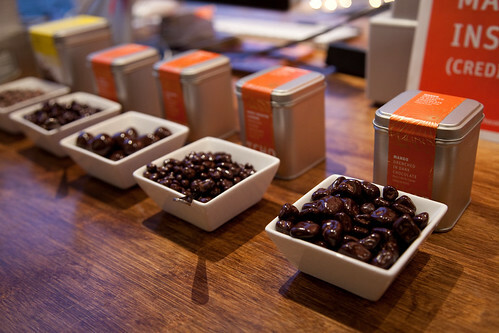 Their chocolate is based on The Flavor Wheel consisting of 6 flavors, Chocolatey, Citrus, Nutty, Fruity and coming soon, Earthy and Floral. 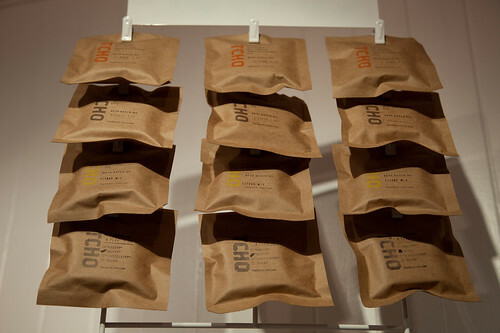 TCHO is a new kind of chocolate company for a new generation of chocolate enthusiasts. 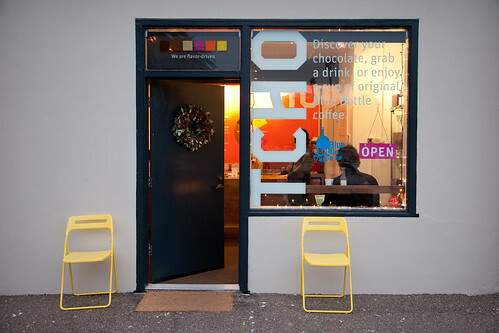 TCHO is where technology meets chocolate; where Silicon Valley start-up meets San Francisco food culture. 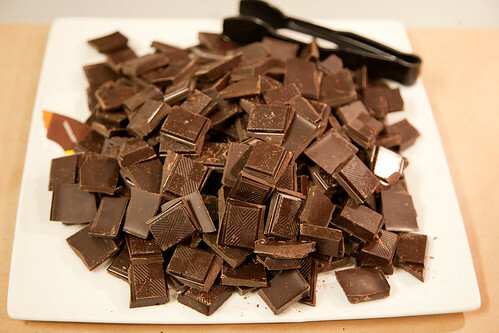 TCHO is obsessively good dark chocolate. 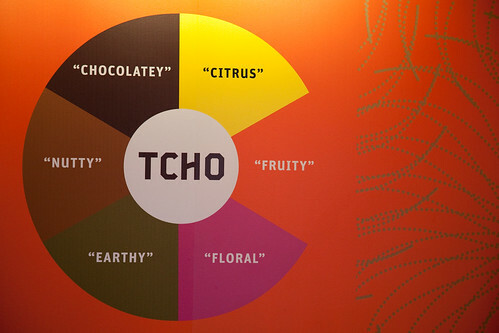 TCHO is direct, transparent connection between the farmers and the consumers, from the pod to the palate, from high concept to sensual experience. 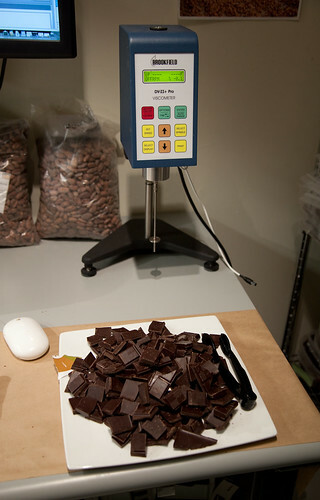 TCHO is an innovative method for you to discover the chocolate you like best. TCHO has been operating in start up mode since their launch in 2005 and they recently come out of beta, releasing TCHO 1.0. 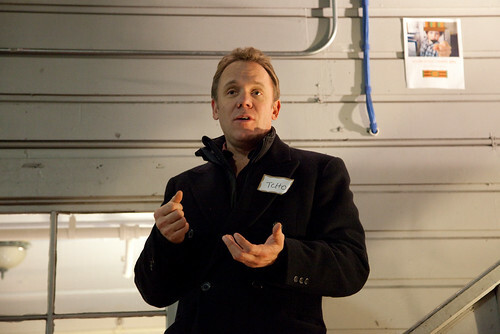 The company was founded by Timothy Childs and Karl Bittong, with Louis Rossetto (co-founder of Wired) as the CEO. 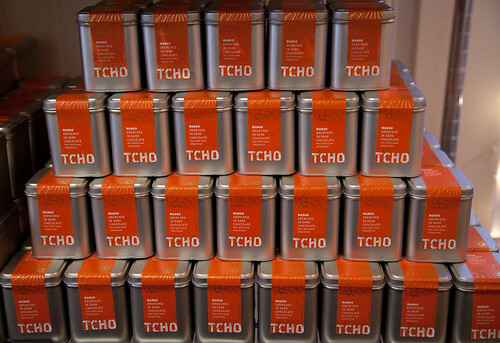 TCHO chocolate can be purchased online and last month they opened a factory store at their Pier 17 location in San Francisco. It’s a great place to stop by for last minute gifts of chocolate. 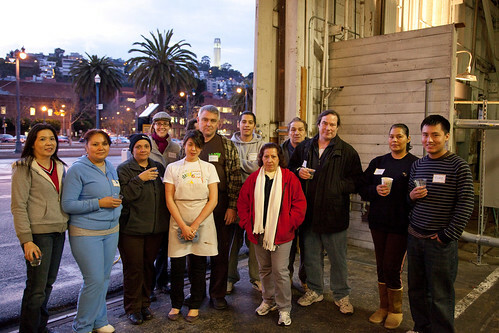 They have plans to expand the store to include a cafe. 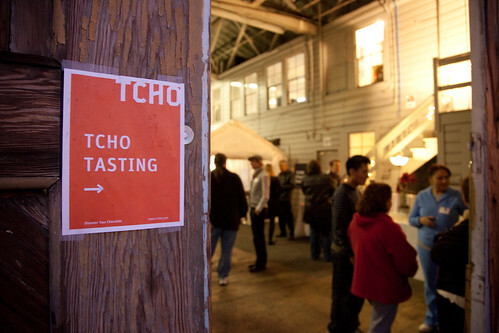 Last Thursday, TCHO had a Beta Store Launch party at their headquarters. 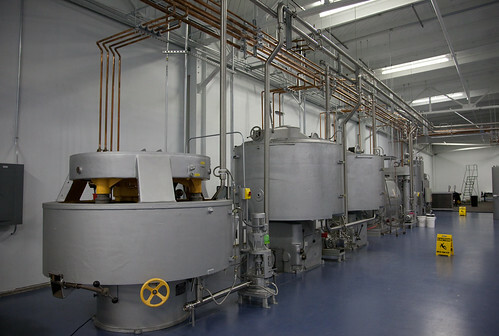 I took a tour of their facilities, including the lab and factory, which when fully operation will be capable of producing 4000 metric tons of chocolate per year. Here are my photos from the TCHO party and factory/lab tour.